Black Bluebirds is an electrifying band from Minneapolis, Minnesota that takes their craft as musicians seriously. Members Daniel Fiskum, Simon Husbands, and Chad Helmonds have given life to Black Bluebirds’ brand, original style, and avant-garde sound. In a smorgasbord of delightful instrumentation, consisting of distorted guitars, synthesizers, and drunken-washed acoustics, this group has produced a cleverly sinister seat for themselves at the music world’s table. Their latest offering, Love Kills Slowly, is a testimony of the strides this band is making. 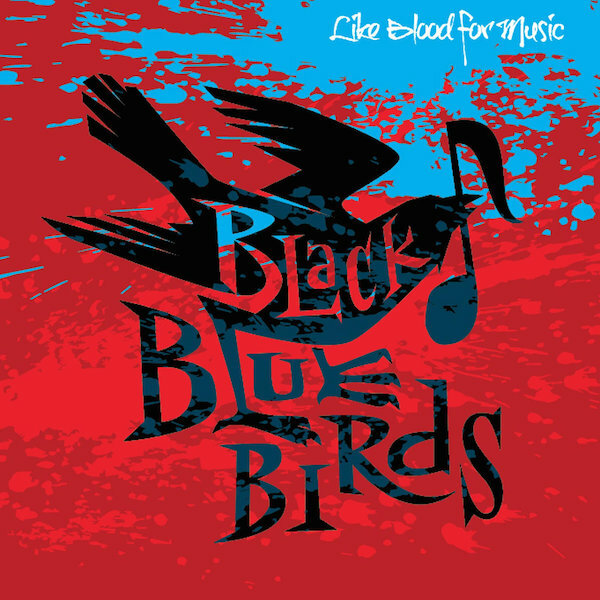 Love Kills Slowly is an enchanting track from the Black Bluebirds’ album, Like Blood For Music. Vocally, Love Kills Slowly has an overtone that is somewhat reminiscent of David Bowie, but surprisingly a bit more soulful. Love Kills Slowly is filled with an intense musical backdrop that borders the genre of heavy rock in a way that is easy to follow. Despite the song’s title, Love Kills Slowly proves to be that one love affair which turns into a musical addiction.